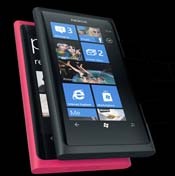 Users of Nokia’s Lumia 800 Windows Phone who updated to the latest version of the software, 7.8, have been widely reporting audio issues with the handset, causing problems when listening to music at various sound levels. After updating their firmware, the phone’s volume seems to be at roughly half the level it was before the update. For example, a song that could be listened to comfortably at a level 15 volume now has to be turned up to 30. Quiet tracks or songs are hard to hear at all, according to accounts on multiple Internet message boards. Downgrading to the old firmware corrects the issue, so it is likely not any kind of hardware problem. The 800 model is not the only Nokia smartphone to have audio troubles. Users are also reporting that the Nokia Lumia 920 is having sound issues where the volume is capped at an artificially low level when loud songs are played. The volume stays set low until the phone is rebooted. Nokia does not appear to have officially commented on the issue. Some developers across the forums blame the volume problem on regulations for certain regions that require audio level restrictions to address ear damage issues.